MicGeek Q9 Bluetooth Microphone Speaker is a multi-functional microphone which can be used on your PC, phone and car. 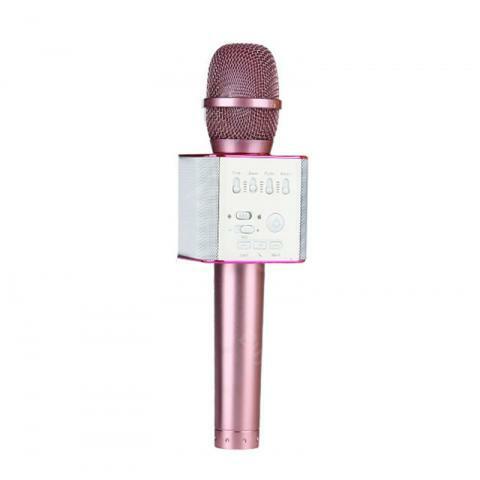 Q9 can also connect with mobile phone via bluetooth, compatible with various Singing Applications. 생각보다 엄청 빨리 왔구요. 저렴하게 구매해서 넘 좋았어요ㅎㅎ 충분히 노래방 분위기 낼 수 있어요^^! 제품 만족합니다.저렴한 가격에 좋은 장난감 구매한듯..아이랑 신랑이랑 온가족이 다 유용하게 쓰네요.